The show’s West Coast debut drew crowds. 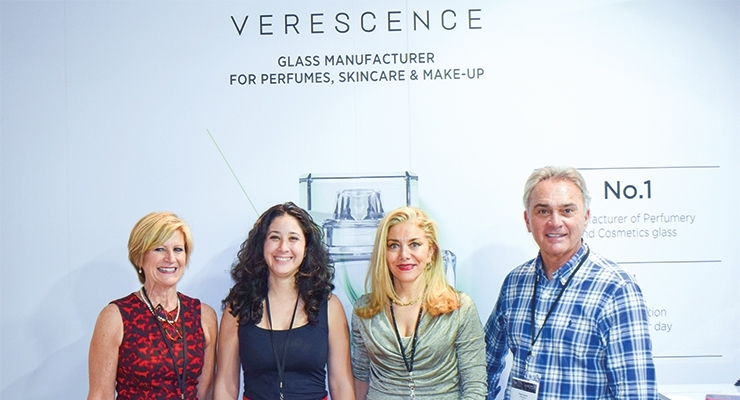 Verescence (L-R): Karen Zaccaria, director of sales; Sabrina Bejaoui, executive assistant; Sheherazade Chamlou, vice president of sales & marketing, NA; and Peter Acerra, president/CEO. Coverpla (L-R): Gilda Cutri, vice president of operations and business development; Carole Pastorelli, U.S. Exports; and Bruno Diepois, CEO. 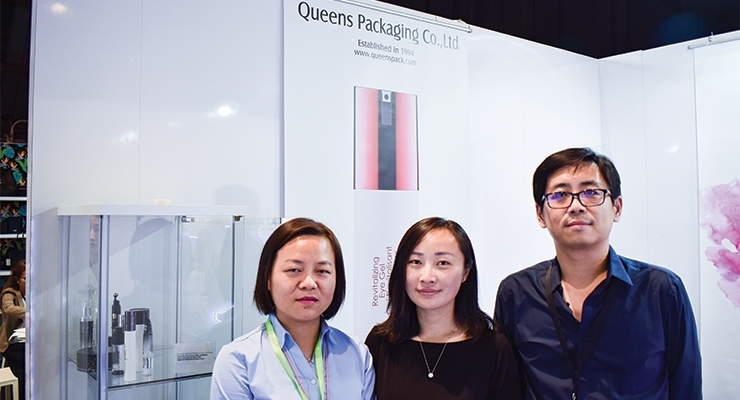 Queens Packaging (L-R): Vivian Yin, sales; Simmer Wang, marketing manager; and William Chu. 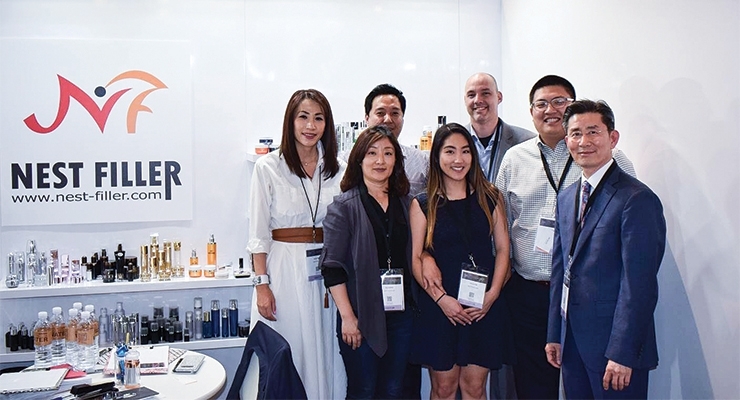 Nest-Filler: (L-R, back row) Yoolie Park, vice president, sales & marketing; John Park, sales director; Harlan Hays, account executive; and Alex Park, account manager. (L-R, front row) Eun Hong and Donna Kim, account executives; Kevin Park, CEO. 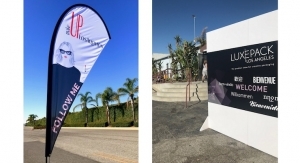 Luxe Pack Los Angeles debuted at the Barker Hangar in Santa Monica on February 6 - 7, and closed a successful first year co-located with MakeUp In LosAngeles. The show reports 3,900 visitors, which is the total from both shows combined. 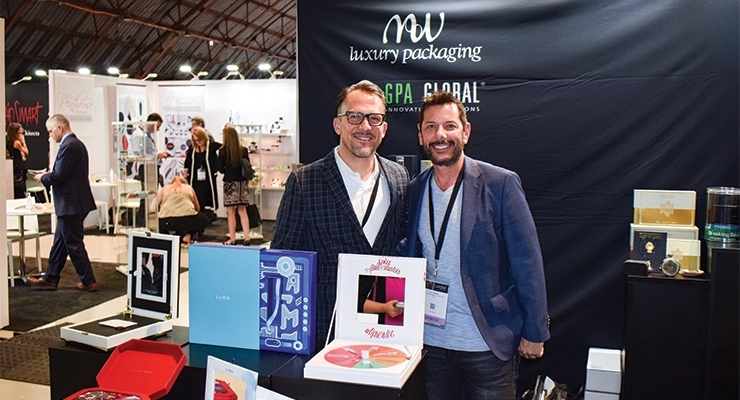 The show featured 55 exhibitors and included a range of diverse packaging suppliers that specialize in glass, plastic, creative finishes, digital solutions, sustainable materials, full-service design and printing. There are many small beauty companies and Indie brands based in California, and many are extremely eco-conscious. Suppliers say this was evident in the questions they were being asked, and the last-minute meetings that were set up. 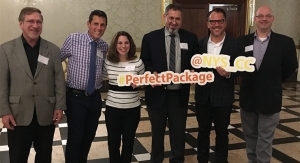 “We keep hearing ‘Can this be made with recycled materials?’ and ‘Can this be recycled?” said Michael Warford, director of sales, ABA Packaging Corp. “Sustainability is a big topic for us at this show. Beauty companies are looking for sustainable packaging—and we have had lots of unexpected meetings. Everyone is telling us, ’I’ll come back later with my team’,” War-ford explained. 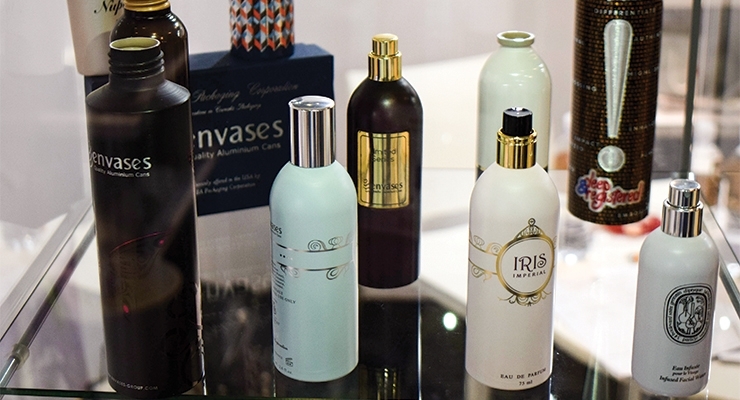 ABA Packaging featured lots of options in glass, as well as high-end aluminum bottles and cans manufactured through its partnership with Envases. 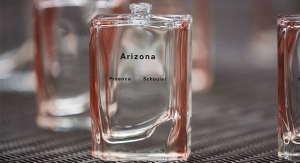 The supplier also offers extensive options in stock luxury fragrance packaging, plus specialty items that include multi-layer tubes. Verescence featured its latest technologies in glass and decorating, and has an eco-friendly, luxury option. The supplier’s NEO infinite glass is the first premium clear glass composed of 90% recycled materials. Verescence’s other patented technologies include Unbreakable Glass and Mineral Glass. JSN featured “green” tubes, made from sugarcane. 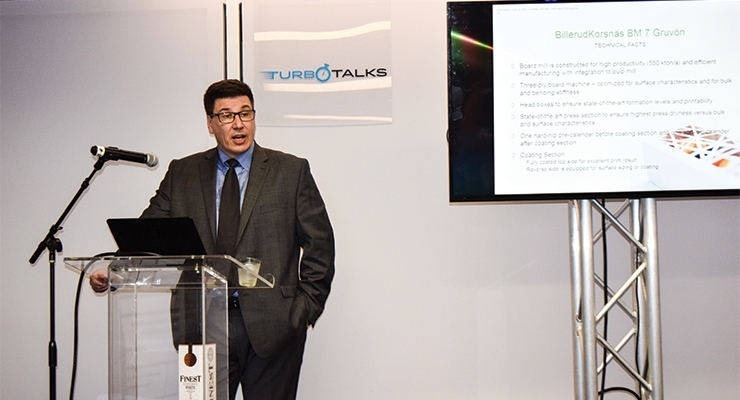 “Sustainability is a huge issue in California, so we have been telling visitors about our tubes that use sugarcane as a main resin source,” said Sean Kavanaugh. “We offer these in our 1-inch and 2-inch lines, and can decorate, in-house,” he added. “They also give a brand a different backstory about how it is made,” he said. JSN also offers 5-layer barrier tubes for sensitive formulations. 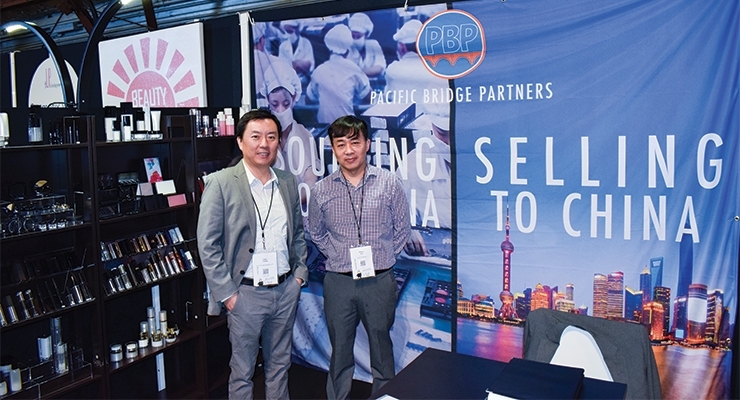 The show was local for the 40-year-old family-owned company, which is based in Irvine, California. 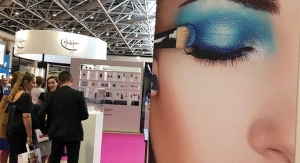 There was no shortage of airless packaging options at the show. Nest-Filler featured several new airless designs, including one that is made for hands-free dispensing, and ideal for a skin-care product. The supplier also showed off its new refillable compact. 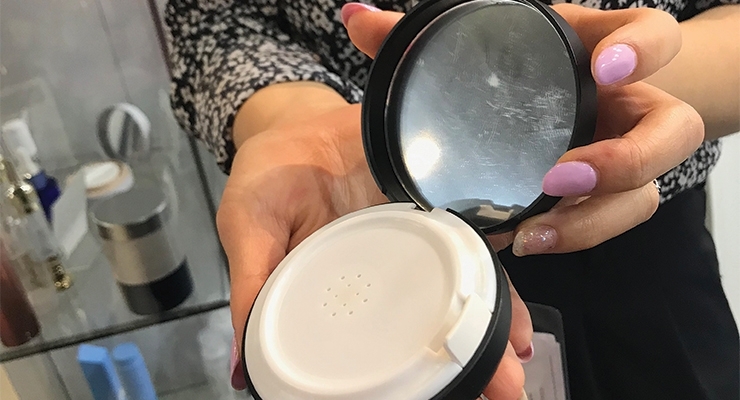 Queens Packaging showed visitors an airless bottle that is perfect for a face makeup product, such as foundation—and it is ultra-portable. 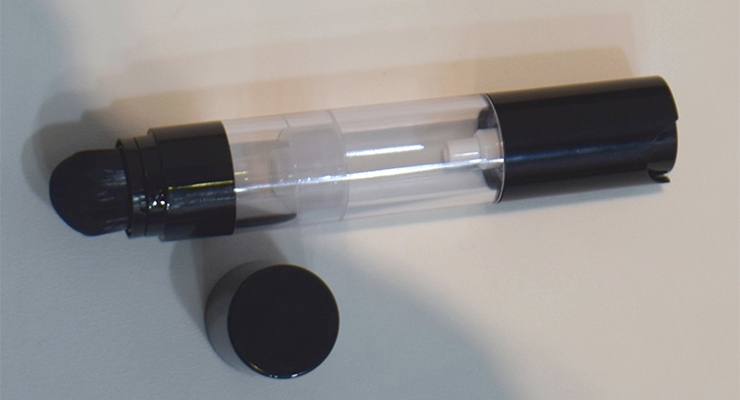 It features an applicator dispensing tip on one end that can be changed to a sponge, for blending. 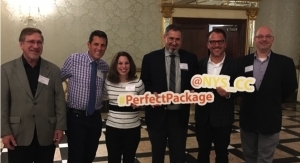 Blister packaging was the topic of discussion at Yonwoo/PKG Group, as Earl McCurdy, vice president of sales explained all the benefits, especially for skincare products. 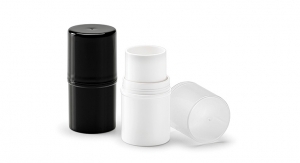 “We offer a solu-tion for packaging an add-in booster product with a mask,” said McCurdy. Holding up the package, he demonstrated how easy it is to press the top of the blister to feed the booster product into the other, which is kept separate. “Each side holds 10ml, and the consumer mixes the product right in the package before using it,” he said. Yonwoo/PKG offers a multitude of configurations in blister packaging, to accommodate any type of product, including stand-alone products sold as single doses. 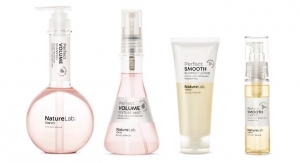 “Skincare products packaged as single doses are extremely popular in Japan. 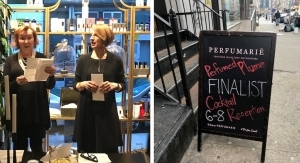 It also allows a brand to sell add-ins, so consumers can personalize a product according to the skin’s needs,” said McCurdy. The company also has the ability to encapsulate a liquid in a powder. “It is perfect for vitamin C—just rub the product between your fingers and it turns into a serum,” McCurdy added. 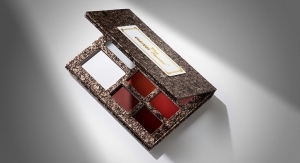 Fusion Packaging featured its new color cosmetics collection, including its first eye shadow palette created for Urban Decay. “Press down lightly to pop it open, and it slides out,” Kelly Kopa demonstrated. 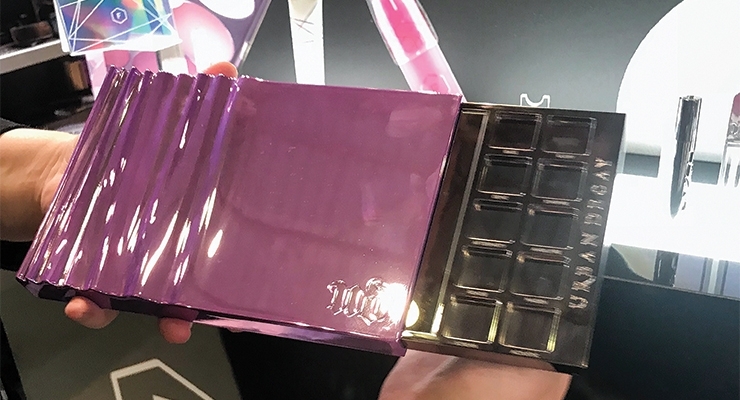 The shiny purple palette is decorated with a “crushed metal” effect, made with a custom mold the supplier developed with the brand. 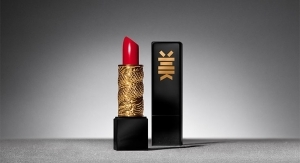 Fusion also featured options for all types of color cosmetic products, such as pots, sifters, and custom compacts. The company also spoke to visitors about its service, Accelerate by Fusion, designed to help a brand speed the time-to-market. 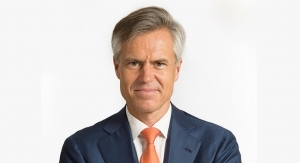 “Accelerate by Fusion brings together the formula and package, because they have to work together,” Kopa said. 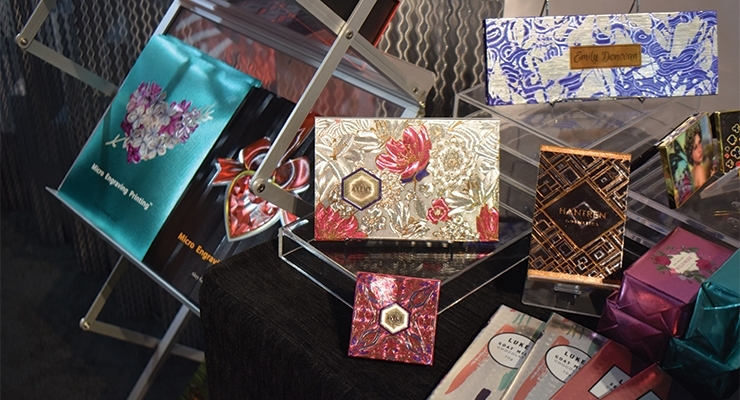 More shine was spotted at Akey’s booth, on paperboard palettes and shiny cartons, in all shapes and sizes. Options included glistening decorative effects, which made its cartons pop. The Penthouse Group had its new applicator puff on display—“LB,” aka Liquid Barrier. 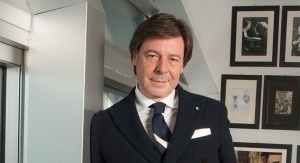 “The technology prevents any type of liquid makeup product from penetrating the entire puff by keeping it to one side,” explained Steve Ostrower, president, The Penthouse Group. “It enhances the applicator’s performance and life,” he said. 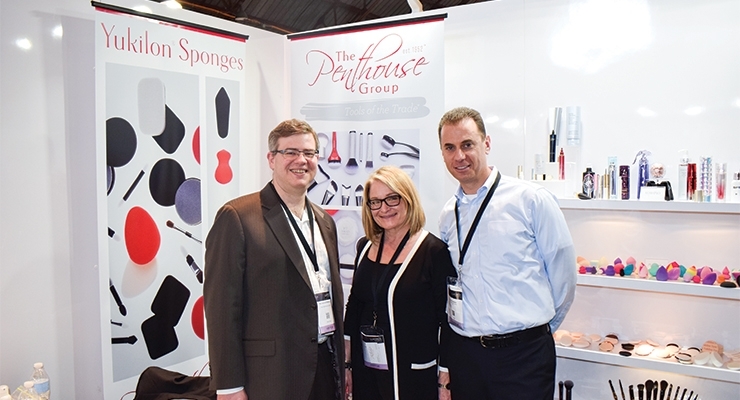 The Penthouse Group also offers various types of decorative effects for its applicators. Options include glitter and marble decorations for its foam sponges. “A brand can customize a glitter to accentuate a color scheme, and differentiate their sponge from competitors,” said Ostrower. 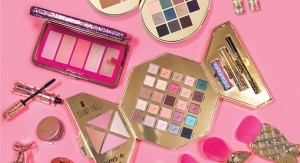 Due to the popularity of beauty subscription boxes, suppliers continue to see a surge in the demand for mini packages, and are stepping up their game in offering new designs. 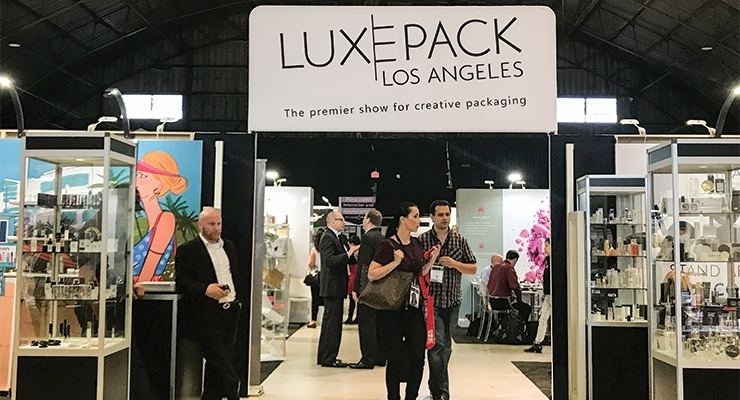 Sari Sternschein, vice president of marketing, Qosmedix, and the company’s new West Coast account manager, Lacey McConnell, showed visitors an abundance of packaging options in mini sizes, to accommodate all types of products. 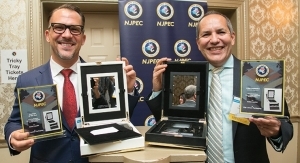 “Everyone needs minis, and we offer decorating and private labeling,” Sternschein said. The supplier’s new options include a 10ml spout pouch that could be a unique way to sample lots of different types of products. 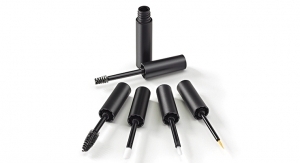 The company’s 3ml black vial has interchangeable tips to accommodate mascara, brow gel, lip gloss and eyeliner. Qosmedix also offers many mini packages in glass. Queens Packaging also featured mini packages at its booth. One of its options comes equipped with a brush. 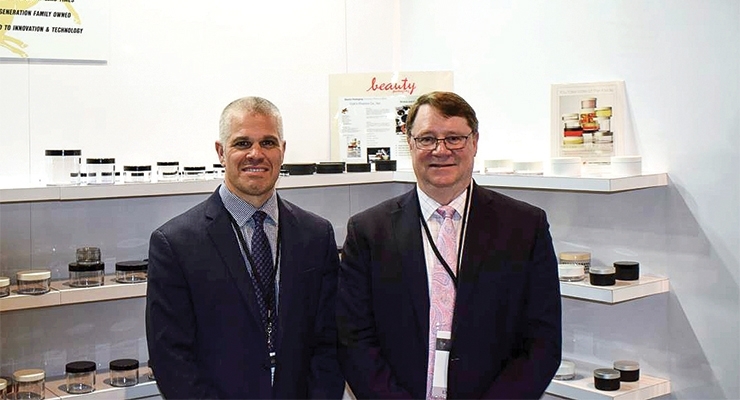 BillerudKorsnäs’ Inger Heinke and Jeff Espin spoke to visitors about the benefits its boards offer, and the company’s plans to expand in the U.S. “We’re new here, but have been around a long time in the European luxury packaging market. We offer a product that is completely different from what is typically available in the U.S.,” said Espin. BillerudKorsnäs White is made of primary wood fibers that are engineered to make the cartonboard exceptionally strong, and is an ideal material for luxury products. “Our BillerudKorsnäs White is a strong, lightweight substrate that has a multi-ply construction, so a brand can achieve greater visual and tactile appeal using less packaging material,” Espin added. 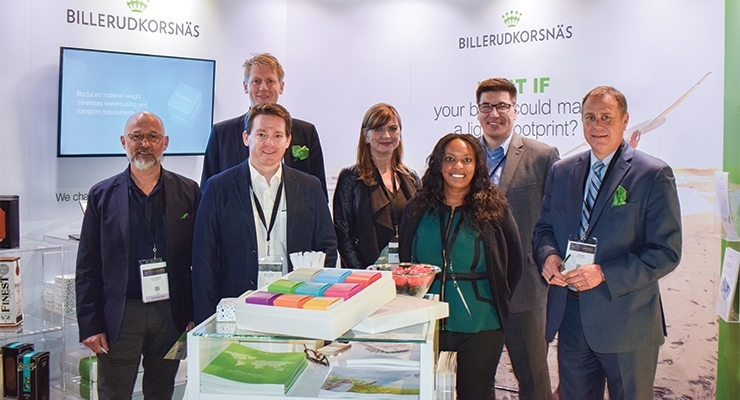 Magnus Levinsson, business segment director, BillerudKorsnäs Cartonboard, spoke to guests during a ‘Turbo Talks’ presentation. Hangtags are often necessary for shelf appeal, and ElastiTag debuted a new solution at the show. The company explained, “We took our standard design, and added a little loop on the backside so the tag looks three-dimensional when it is on the package.” The butterfly-shaped tag on display had wings designed to remain open when attached to a bottle’s neck. The tags are laser-cut and can be produced in any shape. 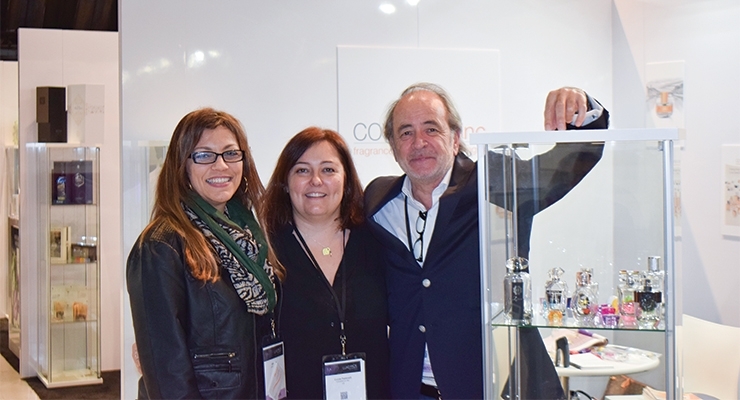 MW Luxury’s team told visitors about its experience producing luxe Influencer Kits. “So many brands are requesting this type of set,” said Wills. An Influencer Kit has to look fabulous when a blogger or YouTuber is “unboxing” on camera, so brands are paying extra attention to designing the box, carton, or case. The company recently created an Influencer Kit for Clarins. Coverpla introduced a new decorative effect, Firenze, which resembles marble. A sample cap was on display, to show off the luxe look. 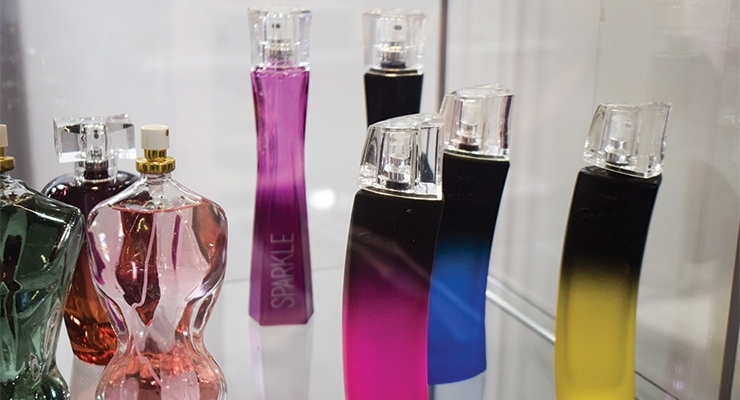 Glass & Glass featured a variety of colorful glass bottles, perfect for a prestige fragrance. The decoration is done using a semi-automatic process, the supplier said. 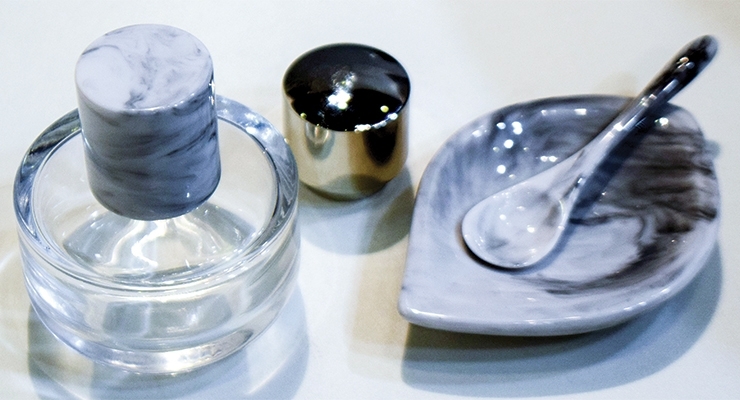 The company also specializes in glass jars for skincare products. Luxe Pack Los Angeles will once again take place—in February 2019; more details to come.